Anthony Chang is Professor of Pathology at the University of Chicago and the Director of UChicago MedLabs, as well as the Director of Renal Pathology and the Renal Pathology fellowship program. He is Past-President of the Renal Pathology Society (2017) and the Chicago Pathology Society (2011-2013). His research interests include the role of B and plasma cells in lupus nephritis and transplant rejection. Renal dysfunction in the setting of liver dysfunction is common, but the underlying mechanism remains poorly understood and is often attributed to hepatorenal syndrome (HRS). I openly admit that I do not truly understand HRS even after lengthy stares at the schematic diagrams showing that systemic vasodilatation results in renal vasoconstriction. Of course, there are compelling angiograms of the kidney in HRS with little blood flow, while the same kidney at autopsy has a normal angiogram to support the critical role for severe vasoconstriction. As a result, most nephrologists view renal dysfunction through the lens of HRS and believe that this is the common mechanism of kidney injury. With this background, I will make a case for bile cast nephropathy (BCN) as an important mechanism of kidney injury in the setting of liver dysfunction. Bile acids are the most toxic endogenous substance in the body. After all, its purpose is to digest food and destroy cells and cell membranes. Normal fasting serum concentrations of bile acids range from 1 to 10 mmol/L, but can increase to 100-250 mmol/L in liver disease and 500-800 mmol/L in cirrhosis. Normal urinary concentrations of bile acids range from 1 to 10 mmol/24 hours, which increase to 100-200 mmol/24 hours in liver disease, and the sulfated forms of bile acids may be present at even higher levels. The detrimental effects of bile acids and bilirubin have been postulated since 1899 when Quincke stated, “At an early stage the cortex is diffusely stained with bilirubin. As time passes the pigment accumulates in granular form in the cells of the convoluted tubules and more markedly in those of the loop of Henle, and in the lumen of the latter many free granules may be seen, together with yellow, green, or brown casts….these severe changes cannot but result in a lessened renal activity and thus may have serious consequences for the organism as a whole.” A few decades later the term cholemic nephrosis was coined. Between 1920 and 1970, there was a steady debate and fairly even distribution between studies in favor or opposition. When HRS emerged, it quickly supplanted the concept of cholemic nephrosis. 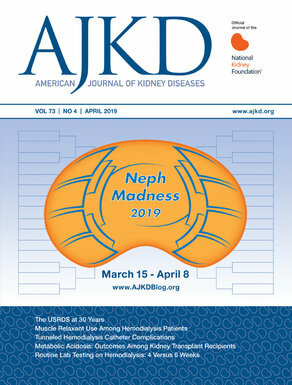 In 2013, our study on BCN, which was primarily based on autopsies, aimed to redirect attention towards the forgotten concept of cholemic nephrosis. Increased levels of bile acids/bilirubin in the blood and urine can cause proximal tubular epithelial cells injury. At lower levels, this theoretically could “stun” the cells and lead to renal dysfunction without cast formation. For this reason, some prefer the term bile nephropathy, because casts are not always present. At higher levels, the tubular toxicity of bile acids can result in sloughing of cells and formation of bile casts, especially in the distal nephron segments where the concentrations are highest. If the liver injury is reversible, then the kidney injury can also be temporary and reversible. If the liver injury is chronic, then the kidney injury will depend on the magnitude and duration of the liver failure. This is a simple and logical mechanism of injury that is analogous to the harmful effects of light chain (or “myeloma”), myoglobin, and hemoglobin casts. Skeptics of BCN argue that bile casts are a secondary phenomenon where another mechanism, such as HRS, is the primary cause of tubular injury and the subsequent reduced glomerular filtration rate results in bile casts. This is difficult to prove or disprove even with a kidney biopsy, which are often not performed in these coagulopathic patients, but understandably now the burden of proof is greater for BCN with the prevailing concept of HRS. The most compelling data in support for BCN were also published in 2013 by Fickert and colleagues where their animal model of bile duct ligation resulted in cholemic nephropathy/BCN. Farnesoid X receptor knockout mice with a higher pool of hydrophilic bile acids or prefeeding mice with hydrophilic ursodeoxycholic acid protected from the harmful hydrophobic bile acids in this model. Since 2013, there are now nearly 50 reported human cases of BCN in the setting of acute liver failure due to anabolic steroid use, malaria, hepatitis C infection, alcoholic cirrhosis, or other obstructive causes in the absence of HRS. When the liver recovers, BCN also often resolves. However, like acute kidney injury, if the magnitude of BCN is large and duration is prolonged, then this may result in chronic injury. In summary, BCN represents a mechanism that is simple to understand compared with the complex sequence of events that occur in HRS. There continues to be compelling evidence that BCN may be the primary mechanism of kidney injury during acute liver dysfunction when HRS is absent. In the setting of chronic liver failure, there are many contributing factors, but it is not difficult from my vantage point to believe that BCN plays a significant role; certainly, the dismissive attitude that many nephrologists have towards BCN is unwarranted and this is the mole hill upon which this academic is willing to die.